In today’s competitive business environment, getting the correct products to the right place at the right time via the most cost-effective manner is paramount for your business’ success. To stay ahead, tech-smart operations, logistics and supply chain professionals are using logistics and supply chain mobile applications as must-have tools for operational excellence. Aligning your business with the latest and greatest offerings from developers will help you keep track of various business activities and increase productivity. These apps help companies achieve every business process from tracking inventory and shipments, book meetings with clients, to tracking tasks and projects. There are even apps that can replace the traditional logbook to make your job easier. By using every tool available to you, will allow the improvement in supply chain functionality, productivity, and profitability. In this blog, the team at EazyStock, will be showing you the most exciting logistics and supply chain applications that will make your job even easier. This clever app for android and IOS that is available from $29.99 deals with all your business needs to book appointments with your clients and make your professional life easier by using your smartphone to view your whole day. This app allows you to easily control your business and help you save valuable time via client self-service that allows your clients to see your calendar 24/7 and choose free slots. BooksyBiz also includes marketing and loyalty tools that allow you to engage with clients through email and social media. platforms. One of the most flexible trucking apps that allow those who work within transport sector to spend less time completing paperwork and instead tracks GPS locations, making this app the easiest way to stay compliant, track GPS and find your truck routes. This application even has a chat function so you’re able to communicate with your fleet through text and image. Hawk-Eye is available through IOS and Andriod. A nifty task-management app that has been released in its third edition that has redesigned its core features to add power to the app’s capabilities and has brought fresh design and new features. This app allows your business to vastly improve its productivity. This task-management app is especially good for complicated projects that need a rigid structure, allowing you to track projects to completion. This app is available on Mac, iPad and iPhone. EazyStock in a cloud-based inventory optimization tool that systematically reduces excess and obsolete stock levels (bad inventory) from your warehouse locations to reduce costs while increasing the availability of your faster turning more profitable items (healthy inventory). With easy API integrations with any Enterprise Resource Planning (ERP) tool, inventory managers can automate procurement and replenishment processes that historically were guesswork cutting into profit margins. Fancy KPI dashboards show you how you are stacking up month to month and call out areas where there is room to cut costs. The system makes forecasting and inventory planning easy. Evernote is not specifically designed for the inventory management, warehousing, and logistics field, however, this app is one of the best tools for organizing important files, images and documents and is, therefore, a popular app among the supply chain mobile applications. The app even has voice recording technology built in for capturing important memos when you are away from your laptop or can’t spend time typing out notes. It is a free tool to use, is available on almost every platform and will drastically improve planner productivity and ease of document management on the go. Nimble is a customer relationship management application that allows you to instantly find insights on people and companies by building a ‘Live Profile’. Nimble delivers profiles with essential details: who people are, where they work, where they are from, revenue, industry, CEO details and contact details. It also has a feature that allows you to keep track of the contacts in your network that you need to meet and who in your client base you need to follow up with. Nimble is available across all devices, most browsers, and even certain social media platforms. Whatever your location, the Desk App allows you and members within your team to track customer issues while on the move. By never losing touch with your team or customer, you’re able to collaborate better as well as better tracking and responding to cases, allowing you to maintain and build stronger customer relationships. Desk is available on both IOS and Andriod. This application makes it easy to track the time spent at each stop for different drivers. This time tracking app for documenting the driver name, customer name, arrival time, departure time and more. Use this time to track spreadsheet to track employees each day based on real-time data. Whether you work as an independent truck driver and need reliable route plans for your records or work in fleet management, utilising a driver route tracker app means you can get rid of paper forms. Scandit extends barcode scanning to the tech savvy inventory manager on the go. Unlike other barcode or QR code scanners, Scandit doesn’t need the scan to be perfect for the data to be processed – scan barcodes that are difficult to reach or see with ease. Scandit is also enabled with cross-platform capabilities, allowing easy sharing of data across other smartphones, tablets, and computers. This app is a game changer for the professional truck driver industry. CoPilot Truck is an intuitive app that offers vital turn-by-turn navigation. Not your average Google Maps app, CoPilot truck offers additional algorithms under the hood to help drivers follow more efficient routes based off of dynamic information such as: routing parameters, load type for hazardous material transport, and truck height & weight recommendations. Steer your business in the right direction with CoPilot Truck! ServiceMax specialises in field service management; the app seamlessly integrates field service contracts, order management, workforce optimisation, parts management, social media customer monitoring, customer communities, and analytics into a company’s Salesforce.com system. When it comes to building an end-to-end view of your service organisation, ServiceMax delivers 360 degree visibility. Aligning your business has never been easier. The free app GasBuddy finds the cheapest gas station in the area, making it one of the more commonly used supply chain mobile apps. The app dynamically compiles info from a large user base across the US and Canada to help you find the lowest prices of any fuel type across thousands of different stations. For fleets constantly hauling freight across the country, saving a few cents per gallon can add up quickly and produce some serious savings. And for drivers that are constantly on the road, GasBuddy also offers points and prizes for members that can lead to serious benefits. 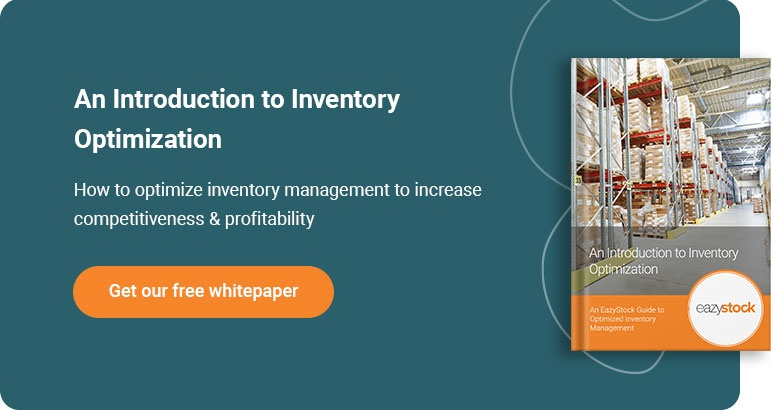 You know the benefits of taking your supply chain with you wherever you go; find out how else you can push your supply chain to the top with inventory optimisation! Take a look at our guide to getting started here.